Materials for a workshop covering the tools gophers use in day to day development. The workshop is based off a 40 minute talk Francesc gave last year. 1.9 adds the ability to add tags/labels to areas of code for more effective profiler tracing. Want to start using Go in your enterprise? 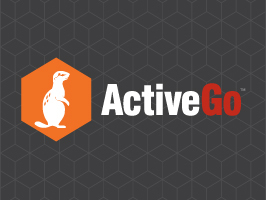 Satisfy your company’s requirements for commercial support, security and license compliance with ActiveGo, the only supported Golang distribution. Start using ActiveGo for free in development. Uses direct epoll and kqueue syscalls (a la libuv or Redis) rather than the standard Go net package. There’s even an example of an ultra-simple Redis ‘clone’ built with it. Builds Go binaries for several platforms, creates a GitHub release and pushes a Homebrew formula. Now using pure Go without CGo meaning you can create desktop apps on Windows without the need to install MinGW or Cygwin. Currently generates fake names, addresses, colors, date/times, and user agents on demand. Our goal is to eliminate fraud and increase our customers' profits. We’ve invented an A.I technology to combine accuracy with scalability. While using named return values may result is slightly less code, it does a lot more for the compiler. A few options and rules on how to serve your Go-based web application over HTTPS without spending any cash. An ongoing collection of tips, gotchas, and tricks around goroutines and channels. $20 Free on a new Linode account. This version has automatic Docker images, background workers, and more. For building microcontainers from rpm packages or oci images. Yep, with calloc, malloc, and free.